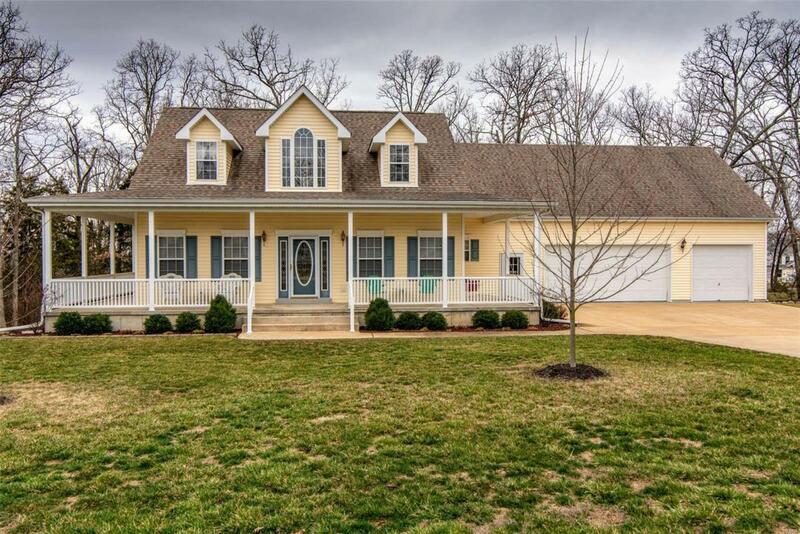 Spacious 1-1/2 Story on about an Acre. 3 bedroom, 2-1/2 baths, Main floor master bedroom Suite with walk in closet, separate shower and tub. 9 foot ceilings on main level and 9 foot ceiling in walk out basement. Covered wrap around covered porch, deck , and patio. Huge (28x40) 3 car garage, with 14X40 Bonus room. Fully Equipped Kitchen with all appliances, breakfast room and separate dining. Move in condition.